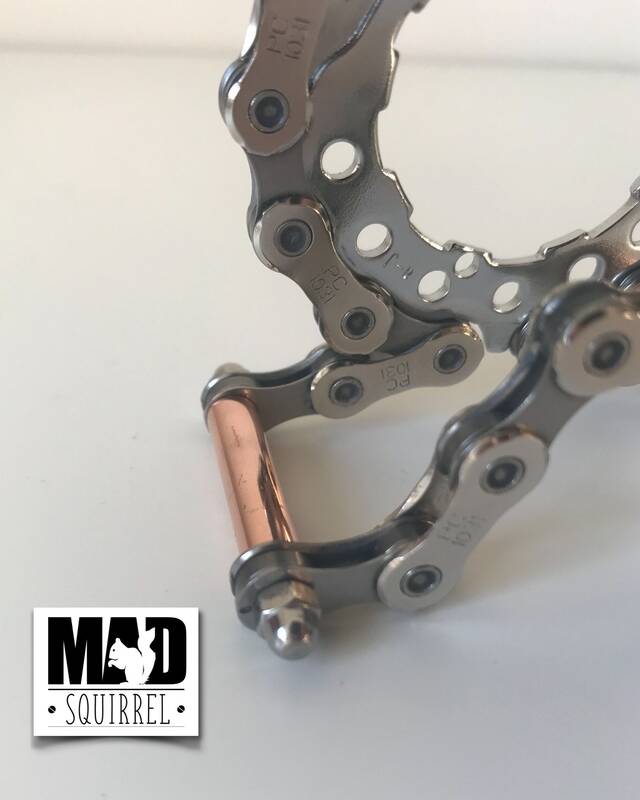 Beautiful and unique Bicycle SRAM Chain and Sprockets with Copper Tube Business Card Holder with a Steampunk theme. 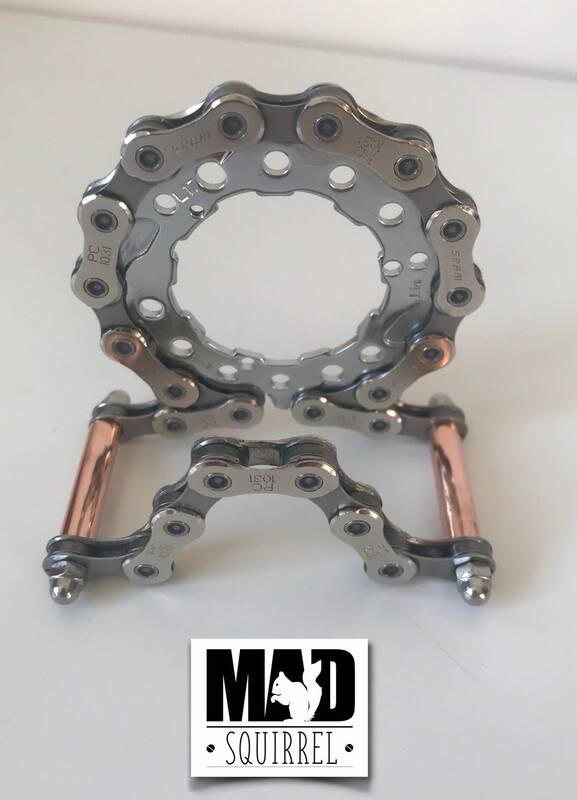 Beautiful and unique SRAM Chain and Sprockets with Copper Tube Business Card Holder with a Steampunk theme. 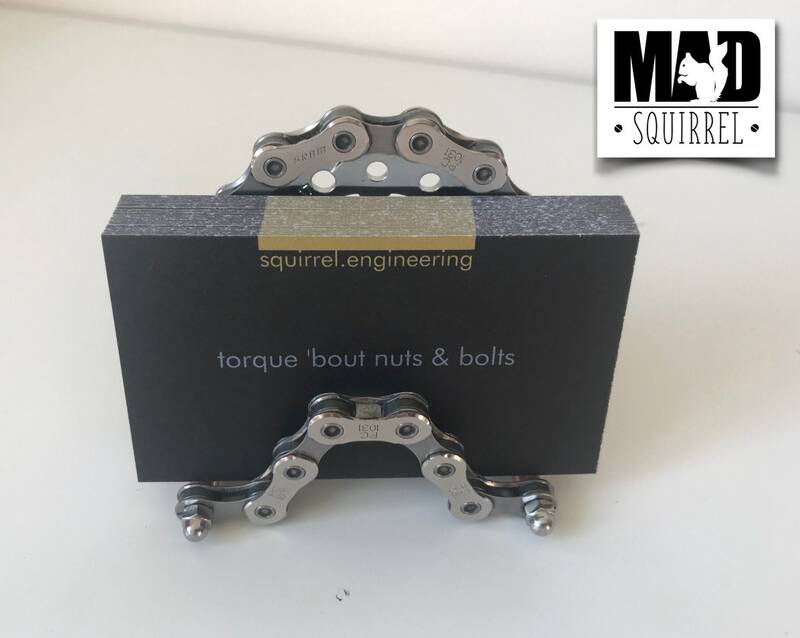 This beautiful business card holder has been designed and created by MADsquirrel. 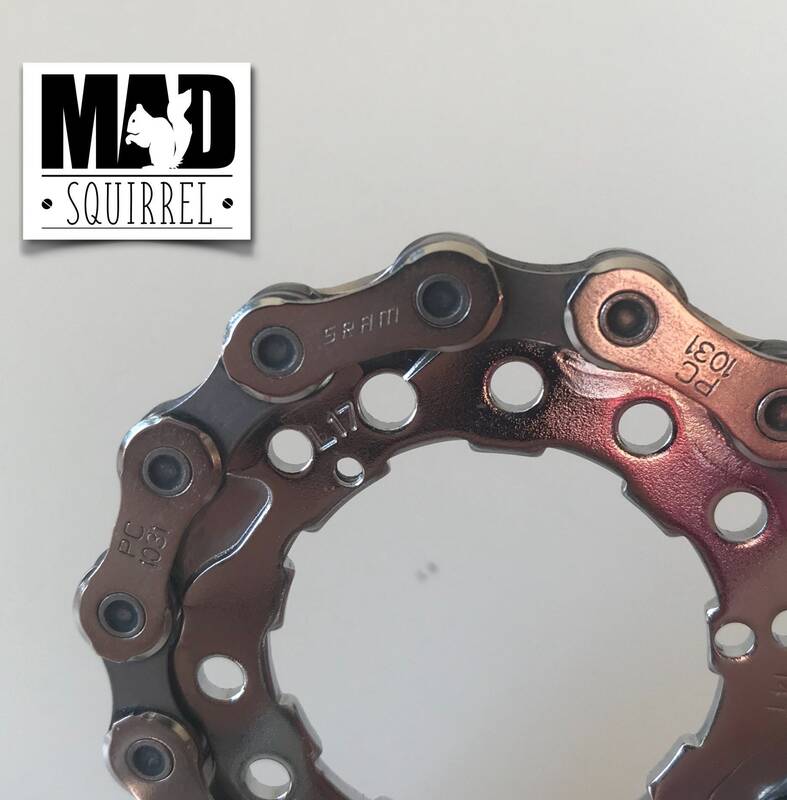 It has been made from a SRAM sprocket and SRAM chain. 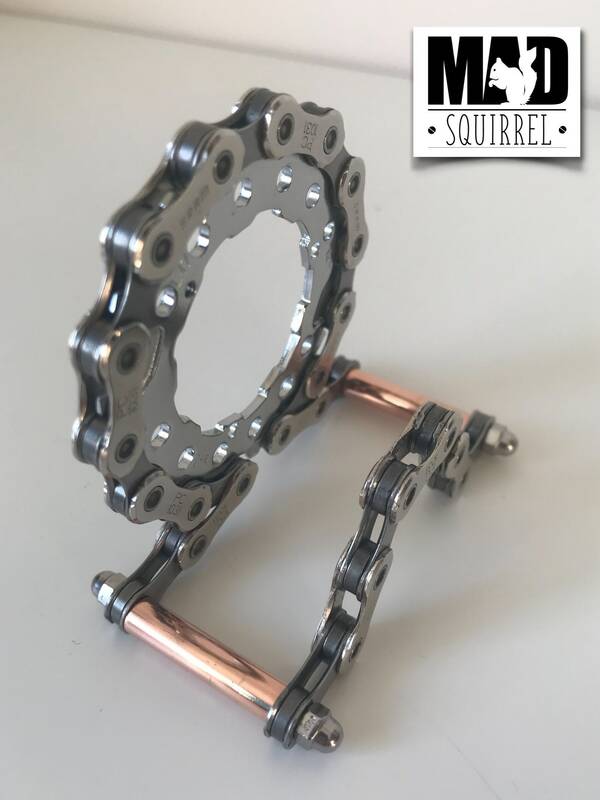 The sprocket is on the rear of the holder with polished chain and the front is chain only creating a nice angle for the cards to sit in and be visible. Two copper tubes fix each side of the rack together and finished of with domed nuts to give a beautiful finish to this letter rack. There is a feel of steampunk to the design. All parts are new and the chain and copper tube has been polished to enhance the finish. 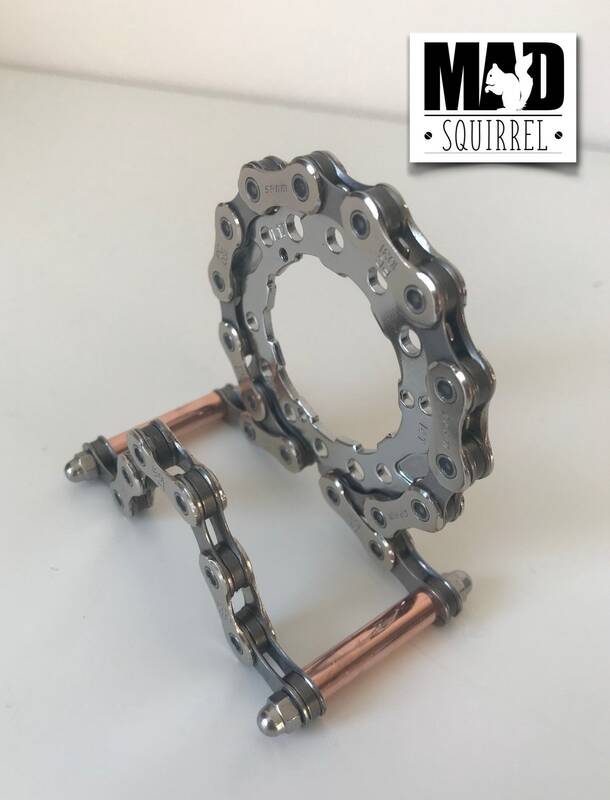 MADsquirrel is based in the UK and has been selling handmade items on Etsy. I sells mainly to buyers in UK, Europe and USA but offers his items for sale world-wide. •	how my buyers can contact him with privacy-related requests. To fulfil your order, you must provide me with certain information (which you authorised Etsy to provide to me), such as your name, email address, postal address, payment information, and the details of the product that you’re ordering. You may also choose to provide me with additional personal information (for a custom orders, for example), if you contact me directly. My husband was thrilled when he opened this gift! Thank you so much for such prompt shipping. It made it all the way to Lubbock, TX in time for his birthday!